The lore and romance of early 20th Century wood and canvas canoes, and a modern-day man who collects them, is the subject of a feature story by me in the newest issue of Canoeroots Magazine. 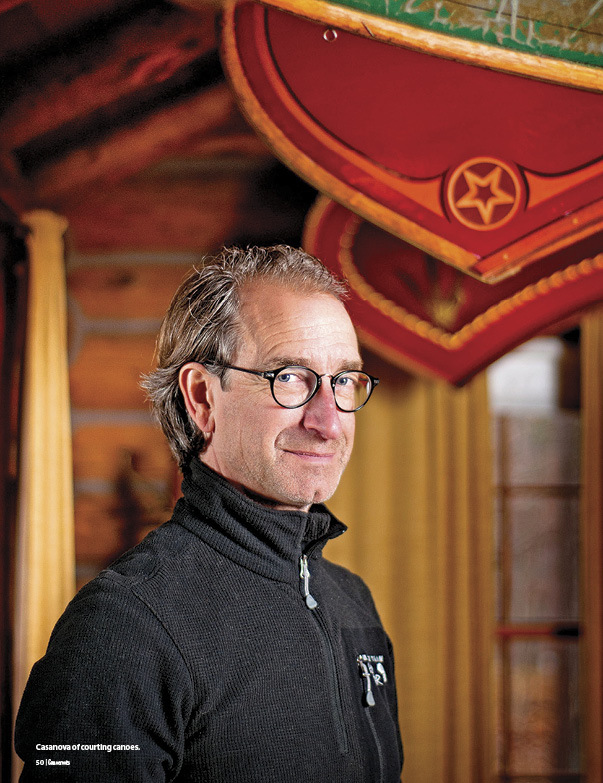 It is called “The Canoe Collector.” The story profiles Ken Kelly, a Grand Rapids, Michigan wine dealer and Canoe Casanova, who has the world’s largest and finest collection of these magnificent wooden courting canoes. Kelly’s canoes date back to an era when designers built them for style and romance, a time when couples would go down to the river for a little moonlight smooching. That became such a popular way to court your gal that local communities began to pass ordinances to restrict behavior on the water and hired constables to patrol local park ponds. Kelly is the president of the Wooden Canoe Heritage Association, a national non-profit organization. Its members are dedicated to the restoration and preservation of old wooden canoes. You can find an earlier feature of mine on this blog about the group’s annual float trip down Michigan’s AuSable River. Check out the photo gallery from that 2012 outing. I had great fun paddling one of Ken’s old canoes. 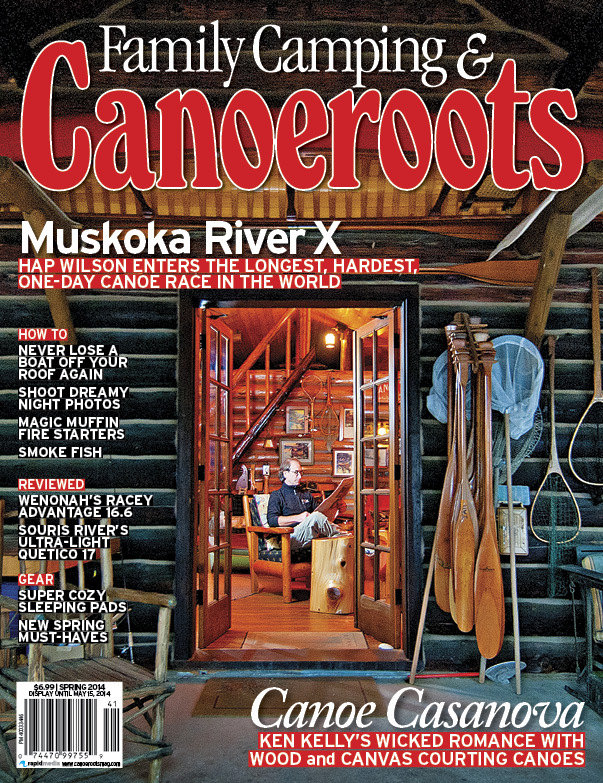 If you enjoy antique wooden canoes, paddling nostalgia, or simply world-class wood canoe restoration work, check out the cover story in the new Canoeroots Magazine or go to its website. Magazine publisher, RapidMedia, has a digital copy online which requires an email to read if you are not a subscriber. This entry was posted in Uncategorized and tagged Artisans, Canoeing, Canoeroots Magazine, Canoes, Courting Canoes, Ken Kelly, Paddling, Woodcraft. Bookmark the permalink.